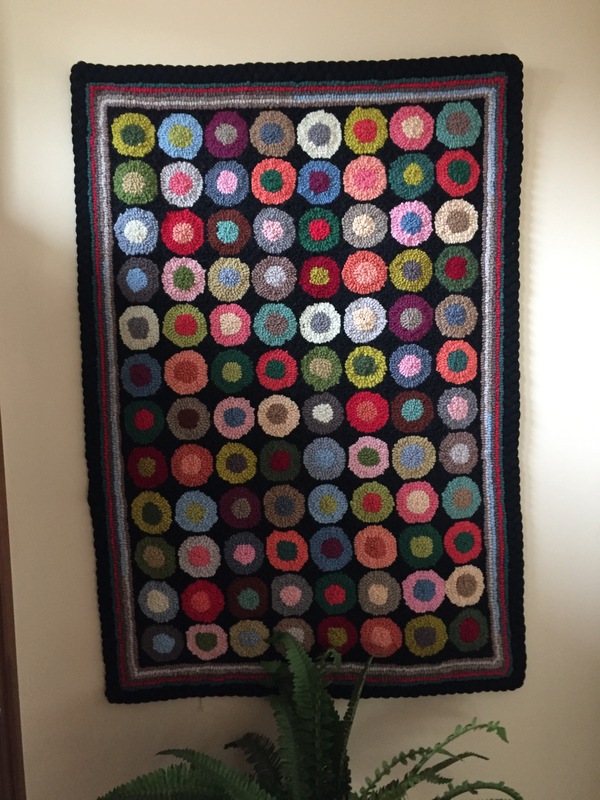 Dianne, your rug is a masterpiece. I remember watching Gloria hook and she meticulously examined each cut of wool to make sure it contained 2 strands for a #2 cut or 3 strands for a #3 cut. It was incredible to watch her hook. You’ve done her proud and the braided finish really works with this rug. Very nicely done Diane. I thought the hooking looked as dense as velvet. I did not know hooking could be done in variations of density. I also enjoyed the braided frame on the rectangle; Interesting concept. The colors are spectacular especially with the 3 cut. The pieces are really beautiful. Thanks Cheryl! Hooking can be wider or narrower and hooked densely (called packing) or less but you don’t want the backing to show. It makes sense that the narrower cuts need to be packed more. Primitive ‘hookers’ use 8 or higher cut which I believe is 1/2″ so they shouldn’t be packed as tightly…why it’s faster! 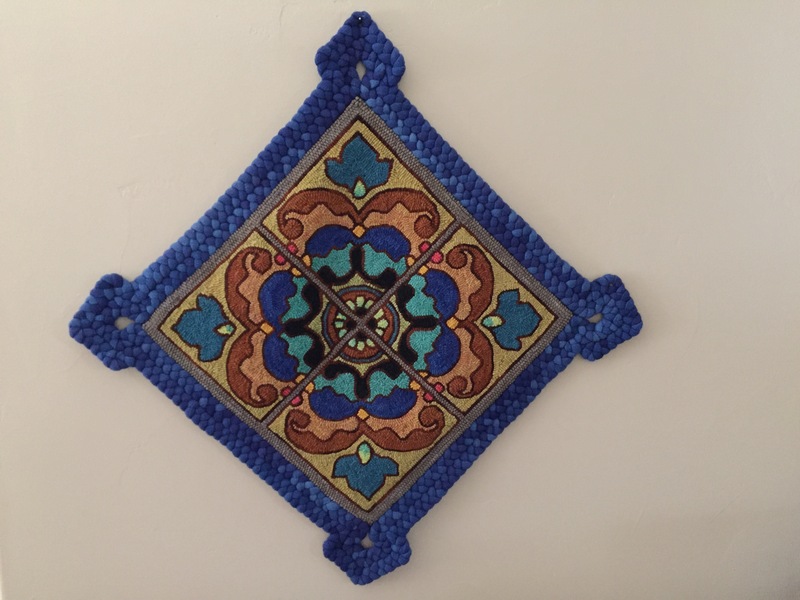 Beautiful piece, Diane! Wonderful history too. Sounds like you have chosen a perfect place for display. I love the button piece too. Your skill is a gift from God. 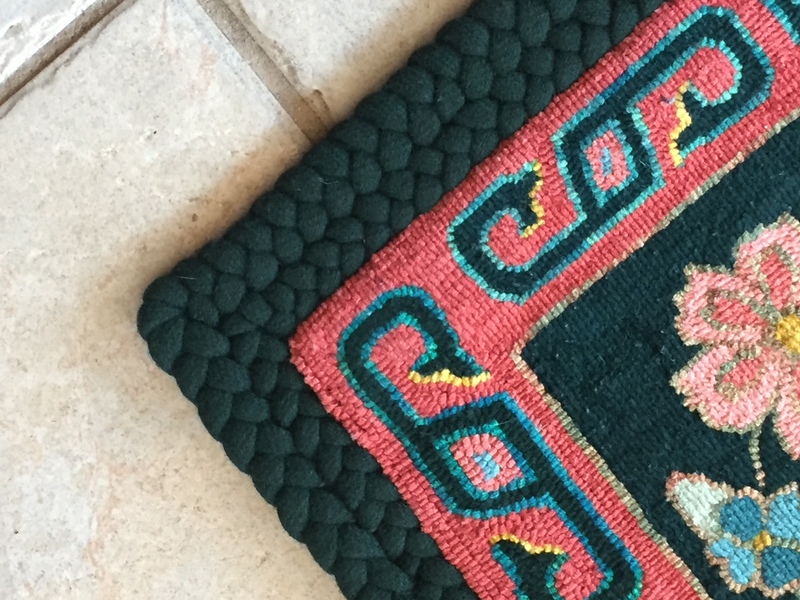 The beauty in these rugs is amazing. You make anyone proud to have you finish something they loved enough to begin. How nice you did so many pieces for your friend and the one rug made the granddaughter cry. 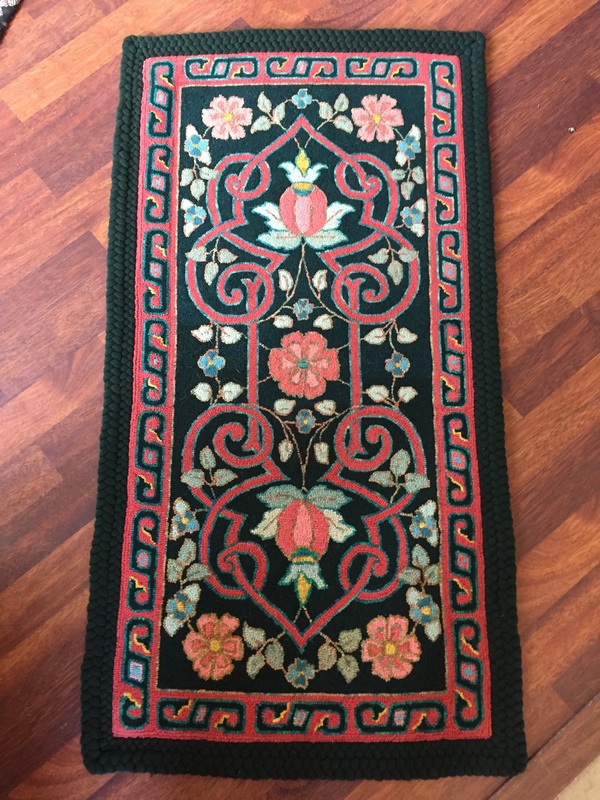 The Persian rug is beautifully framed (like the width variation) and it is a deep green rather than black as I had thought. Lovely and it surely will grace your home.